Co-chair of the firm's Class Actions group, Heidi is an experienced litigator and trial attorney who provides strategic guidance and solutions to clients in commercial litigation disputes. She represents clients in high-stakes, statewide, nationwide, and multi-district class action litigation in every facet of the proceedings — from removal under the Class Action Fairness Act, to motions to dismiss, class certification proceedings, discovery, trial, settlement and appeal. Heidi represents and advises public and closely held corporations in both general litigation and complex business matters in the areas of consumer fraud, contract disputes, warranties, product liability, intellectual property, securities, employment, business slander, unfair competition, false advertising, statutory compliance and violations, and insurance coverage, among others. 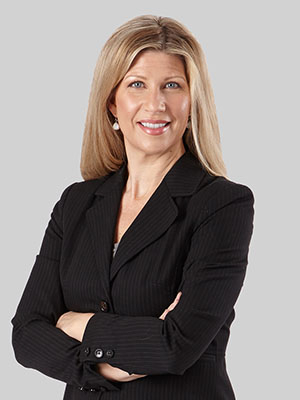 Heidi practices in jurisdictions across the country and has developed a successful track record of employing strategies for early, favorable disposal of claims, as well as litigating matters through trial and appeal. She also advises companies on risk assessment and management, product liability prevention, contract negotiation, warranty issues, document retention matters and media relations. Currently representing Select Comfort Corporation in a class action in the U.S. District Court for the District of New Jersey alleging violations of the New Jersey Truth-in-Consumer Contract, Warranty and Notice Act (TCCWNA), the New Jersey Consumer Fraud Act, and the Magnuson Moss Warranty Act where she obtained dismissal. The case is currently on appeal to the Third Circuit Court of Appeals, which has certified two questions to the New Jersey Supreme Court. Currently representing several major food retailers in a multi-district litigation in the Northern District of Illinois alleging violations of several state consumer statutes stemming from allegations of misleading food labeling. Representing James Hardie in a multidistrict litigation in Minnesota alleging violations of several state consumer protection statutes and breach of warranty claims in connection with advertising and allegedly defective siding. Obtained complete defense verdict after trial in the U.S. District Court for the Eastern District of New York in a case alleging Lanham Act violations and state claims of breach of contract, unfair competition, false advertising and slander related to a dealer agreement. Also obtained a substantial defense attorney fee award under the Lanham Act. The case has been to the Second Circuit Court of Appeals twice, and the second appeal is currently pending. Wolf v. South Brunswick Furniture, Inc. Currently representing a franchisee of Ashley Furniture in a putative consumer class action in New Jersey alleging violations of the New Jersey Truth-in-Consumer Contract, Warranty and Notice Act (TCCWNA), the New Jersey Consumer Fraud Act and the Magnuson Moss Warranty Act. Hagen v. McAlpine & Co. Represented McAlpine & Co. Ltd. and Mountain Accessories, Inc. in a class action in the U.S. District Court for the District of Minnesota alleging negligence and breach of warranty in connection with allegedly defective plumbing valves. Obtained early partial dismissal and then quickly settled the matter on favorable terms. Represented Blue California in a Minnesota case in which the plaintiff is alleging breach of a settlement agreement stemming from unfair competition and false advertising claims related to a health supplement it manufactures. The case ended with a favorable settlement. Obtained summary judgment and successfully excluded all three of the plaintiff’s expert witnesses in a matter in the U.S. District Court for the Eastern District of Missouri alleging personal injuries in connection with an alleged product defect. Obtained dismissal of claims against SPX Corporation in a consumer class action in the U.S. District Court for the District of Minnesota alleging violations of several state consumer protection statutes and breach of warranty claims in connection with its advertising and allegedly defective plumbing systems. Obtained dismissal in the U.S, District Court for the District of Minnesota of a class action alleging violations of multiple Minnesota and California consumer protection statutes, including the CLRA, UCL, FAL, MUTPA, MUDTPA, and the MDFA, stemming from alleged improper advertising of sales. Successfully defended U.S. Legal Services Group and Apex Legal Group in a class action in the U.S. District Court for the District of Minnesota alleging violations of the Fair Credit Reporting Act (FCRA) and the Minnesota Debt Settlement Services Act in connection with alleged advertising and solicitation of debt settlement services. Obtained dismissal in a class action venued in Washington alleging violations of the Washington Consumer Protection Act stemming from alleged improper over-collection of state taxes. Obtained dismissal of a case and striking of class claims in a matter brought against Select Comfort Corporation in a purported consumer class action in the United States District Court of the District of Pennsylvania alleging violations of state consumer protection statutes and breach of warranty claims in connection with its advertising and alleged selling of refurbished beds. Obtained dismissal of claims class action in Minnesota alleging violations of several Minnesota consumer protection statutes and breach-of-warranty claims in connection with its advertising and allegedly defective products. Successfully defended similar claims brought by individual plaintiffs in several other states. Obtained dismissal in the U.S. District Court for the Northern District of California in a class action alleging violations of California consumer protection statutes, include the UCL, as well as the Magnusson Moss Warranty Act and various state law claims stemming from alleged improper advertising and allegedly defective beds. Successfully defended S&C Electric Company in a case venued in Minnesota alleging that its underground pad-mounted switch gear was defective, causing an arc-flash that injured an electric company employee. Obtained voluntary dismissal before discovery was completed with no payment to plaintiff. Successfully defended large window manufacturer in several federal consumer class actions in federal courts in Minnesota, Ohio, Virginia, and Massachusetts alleging violations of state consumer protection statutes and breach of warranty claims in connection with its advertising and allegedly defective windows. Prior to joining Fox, Heidi was a partner at Oppenheimer Wolff & Donnelly LLP. While in law school, she was an associate editor of the William Mitchell Law Review. Heidi attended the Defense Language Institute Foreign Language Center in 1995. Heidi is a veteran of the U.S. Army Reserves where she served as a Psychological Operations Specialist before attending law school.